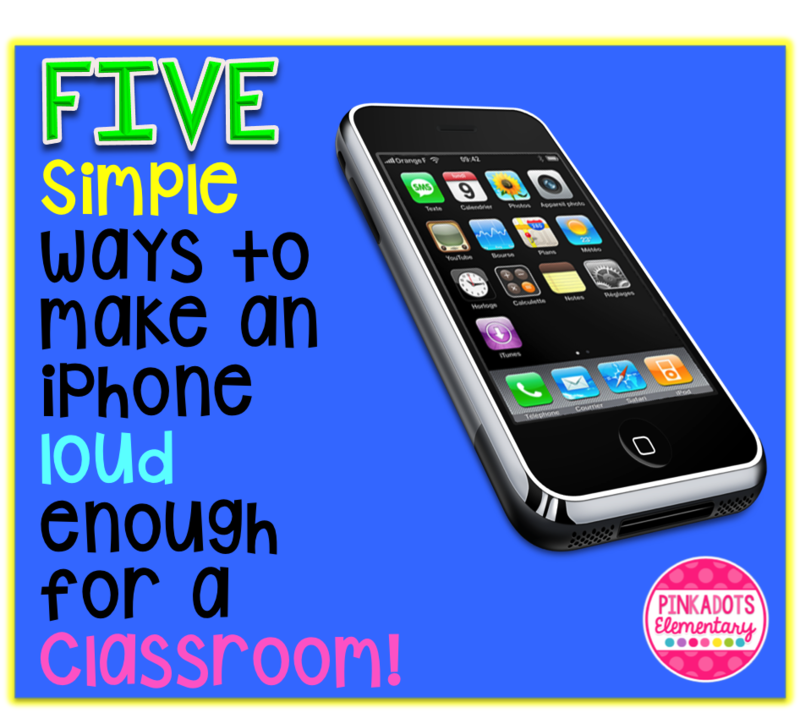 FIVE Simple (& some free) Ways to make an iPhone Loud Enough for a Classroom! I don't know about you, but my students LOVE when I use technology in the classroom. Just listening to music on my iPhone is a wonderful motivator, reward, and even a stress relief to many students. I have a very old CD player in my classroom, but honestly who even has CDs anymore? The radio doesn't work because the antenna is broken off, but yet I keep the boom box on my back table for a reason, which you can read about below. Why would the classroom need to listen to my iPhone? Some of my favorite apps are audio apps like audible (for listening to chapter books read aloud), Pandora (for relaxation or holiday themed music), Scholastic (for articles read aloud, while we follow along with our magazines), any websites that read stories out loud, and even local news stations that have videos of current events that I want my students to listen to, but not necessarily see. #1. Have you ever heard of a Male Stereo Audio Cable? It sounds a lot more complicated than it is. It is a cable with a plug on both ends. One plug can go in the iPhone and the other in the CD player. When it is plugged in, the sound from the iPhone will come out of the CD player speakers and be loud enough for the whole classroom to enjoy. These cables are pretty cheap too! I've seen them for sale everywhere from CVS to Amazon! #2. I have no idea what this amazing speaker is called, I got it at a career fair and it is AMAZING. The only reason why I can't take it to school with me is because my husband snatched it for the PE office at his school. This portable speaker takes three AA batteries. All you do is press the on button and place your phone on top. The sound from this speaker is probably just as good as a iHome! If anyone knows what this is called, please let me know! It would be perfect for a listening station because there is nothing to fool around with and only one button. Students would get a kick out of being able to use it on their own! #3. My favorite way because it is free! Grab a cup or even a bowl and place your iPhone inside. You will not believe the sound that will come out when you turn up the volume! I showed this to my mom and she was shocked! We used this technique while camping with a plastic solo cup and it still worked amazingly! #4. iHome! I absolutely love my charging station/iHome. This year I am going to bring it to school with me because my phone tends to run out of power quickly, when I use it a lot. The speaker is SO loud and convenient and as a bonus, there is a digital clock on the front. #5. 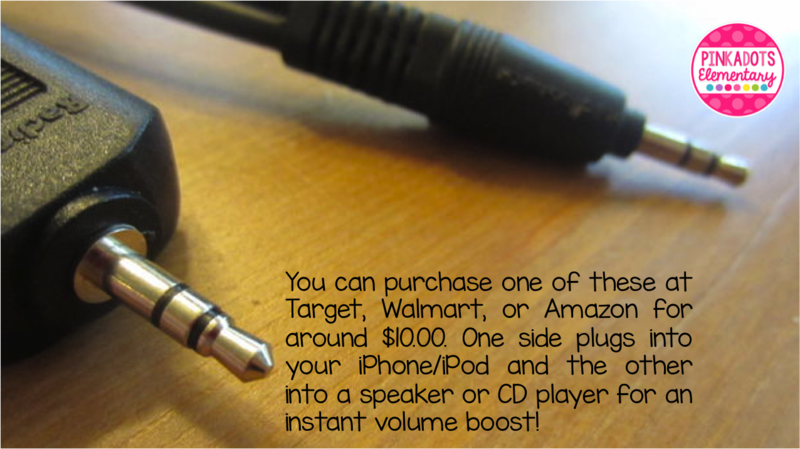 Here is another easy and free way to boost the volume on your iPhone. Have you tried this simple trick? 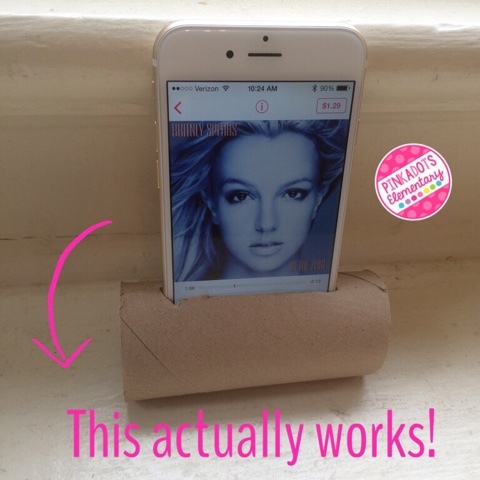 I was skeptical at first, but all I did is cut a horizontal slit in a toilet paper roll and slid my iPhone inside. The music came pouring out. I KNOW it would work even better in a paper towel roll, so next time you empty some paper towels, save the roll. Need another reason to try out using your iPhone in class? 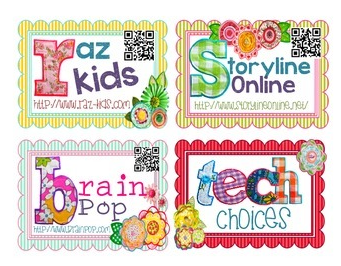 Download the FREE QRCode Reader App and check out my most popular freebie in my TpT store! 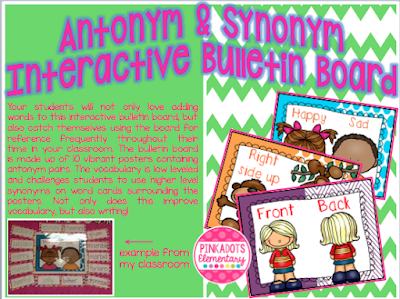 Print these beautiful task cards out and laminate them for easy access to any of the websites! If you already downloaded them, download them again for all the updates! I added 12 new websites that my class loved this year! 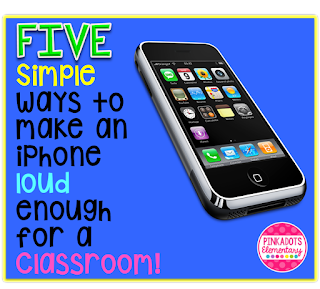 Since I'm always learning and looking for new ideas, I'd love to know how you use your iPone/iPod in the classroom? 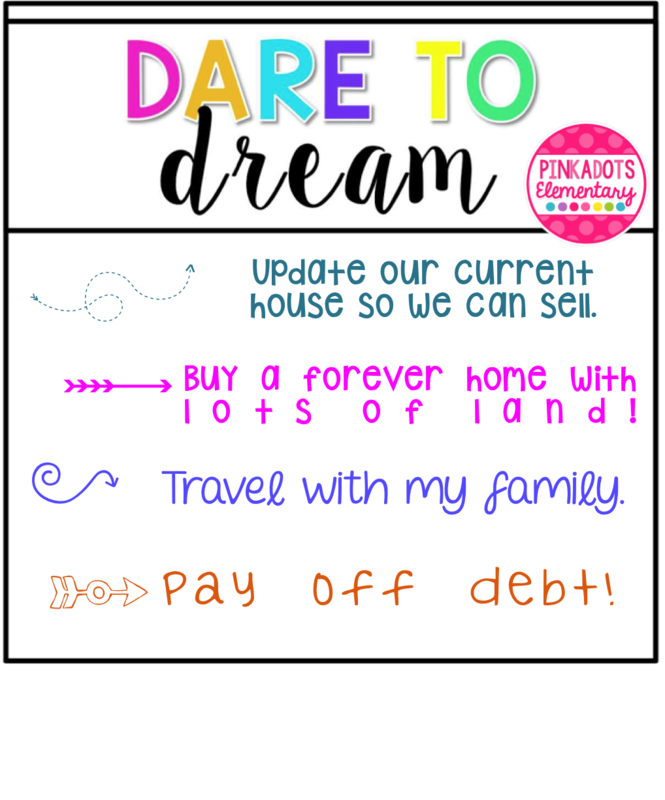 Dare to Dream...what TPT can do for me! I am continuing with the TpT seller challenge this week. The challenge is titled "Dare to Dream" and I will say that we are very blessed to have discovered TpT! 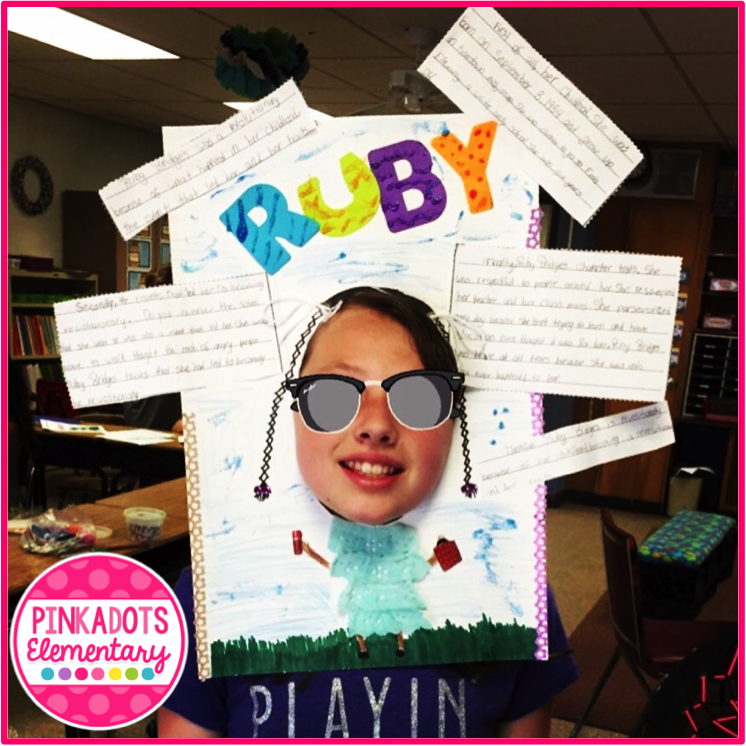 Robyn and I love creating our own materials in the classroom and being a member of TpT has inspired us to always think outside of the box. Not only has TpT helped us in our personal lives, but it has taken our teaching to a whole new level. So in no particular order, because let's face it, paying off debt is a must, but so boring... here are my dreams. My husband and I purchased our first house, just a starter house, eight years ago. It was built in 1890, and is a cute little Victorian. Cute being the optimal word! So, we still live here, and have two kids. We are ready for an upgrade, with a big yard, so we can get chickens and a dog. Before we can think of selling, we need to update the house. This summer I am planning on getting a new floor put in on the lower level and possibly redoing the kitchen cabinets. When we sell this house, we will look for our forever home and hopefully be a little closer to school. We are currently commuting 40 minutes each way. Luckily, my husband teaches in the same district and we are allowed to enroll our children in the district we teach in. So everyday, the four of us journey 26 miles to school and 26 miles home. We spend a LOT of time in the car. I would REALLY like to go on a spring break with the family. Even a trip to Florida for a week would be FABULOUS. By April, we need a break from snow, and I'd love to be able to look forward to Disney, halfway through the school year! So that's what I am working towards. 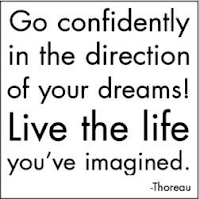 Now that I have these dreams written down, they seem a little more attainable! Thanks so much to Third in Hollywood and friends for this great challenge! 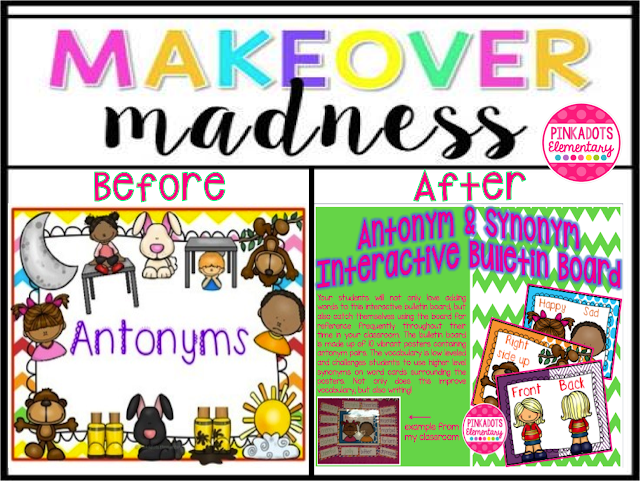 Good Morning, I am happy to be linking up with lots of friends, including The Peppy Zesty Teacherista for the first #TPTSellerChallenge: Makeover Madness! Well if you follow my TPT store, Facebook, or Instagram, you have seen I've been redoing a ton of products lately. If you don't follow me there, what are you waiting for!? Go click on those link and follow. So anyways, I was scrolling through our store and came across a huge embarrassment! One of my favorite products, with a HORRIBLE cover. I mean seriously...this cover didn't even begin to describe the awesomeness of the product. With a little creativity and time I changed it up...completely. Much better now, right? I don't know what was up with the previous cover, but I feel a whole lot better with the new one. I'd love to give a few away to my readers this week, so if you are reading this, leave a comment with your email and you might just be lucky enough to receive this in your inbox! Not sure if you could use it, or did you miss the giveaway? Check out the product listing by clicking here, or on the picture below! 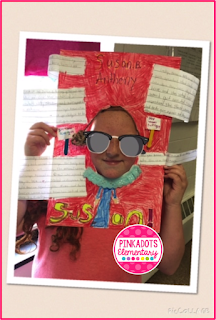 Nonfiction Biography/Revolutionary Project Results + FREEBIE included! 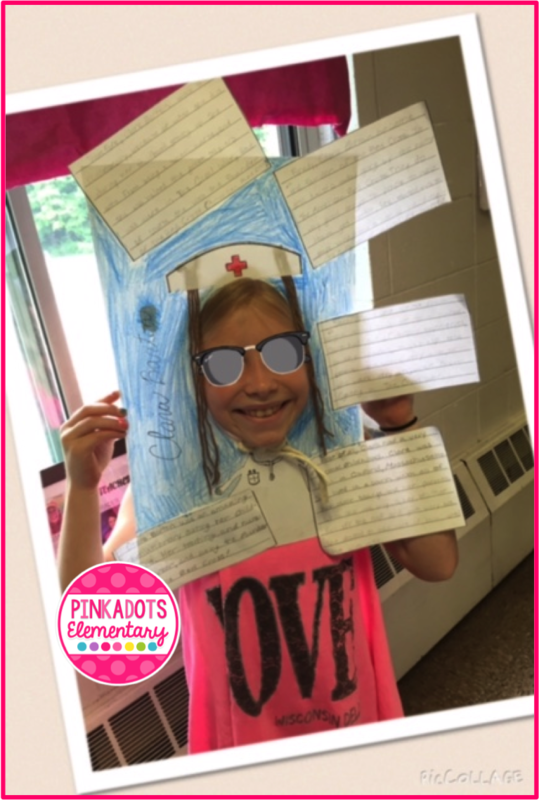 I had to share some of our adorable Informational Revolutionary projects with all of you. They are just the cutest, but don't take my word for it...check them out below! The pictures are very self explanatory. As you can see there are examples of Jackie Robinson, Ruby Bridges, Clara Barton, and Susan B. Anthony. 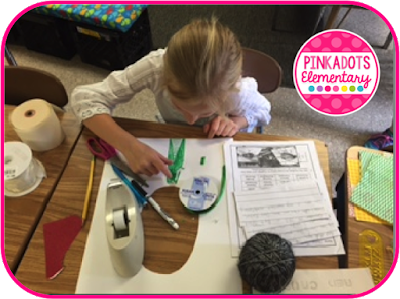 Some students worked alone, while others chose to work in partnerships. Students spent time developing research questions, researching information, taking notes, planning, drafting, editing, revising, and publishing an informative essay on a revolutionary of choice. They then were allowed to use all of their creative juices to create a "Face in the Hole" poster display. The essay is glued onto each display, in order, so projects can be presented on Monday. Students are now an expert on their revolutionary of choice, and will teach the class facts about his/her revolutionary as well as why the person they studied is considered a revolutionary. 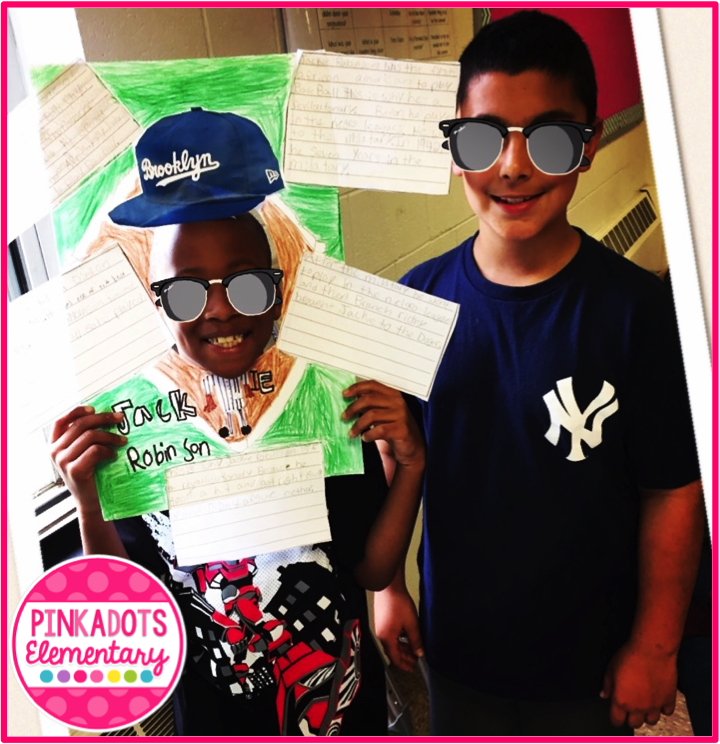 Revolutionary Reports: Successfully Blending SS into ELA! I am so excited to give you a sneak peek into our classroom this week. Although we only have 11 days left of school, we are super busy researching, writing, and creating revolutionary projects. I got this adorable idea from Deb Hanson's Instagram, but we changed it up to fit into our curriculum! The students chose a revolutionary to research, took notes, made a plan, and wrote an informative essay. They then cut out the essay, glued it onto special paper, cut a hole in the paper, and decorated! The students are so excited to be creative in class and are highly motivated. I will share more with you as soon as the students finish up, but this is what is going on so far!